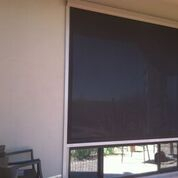 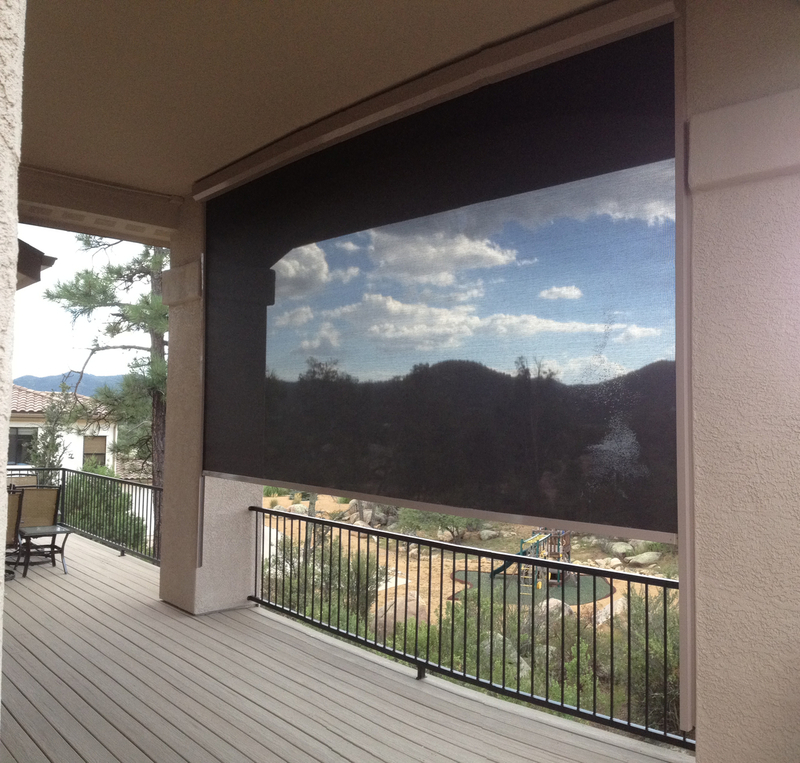 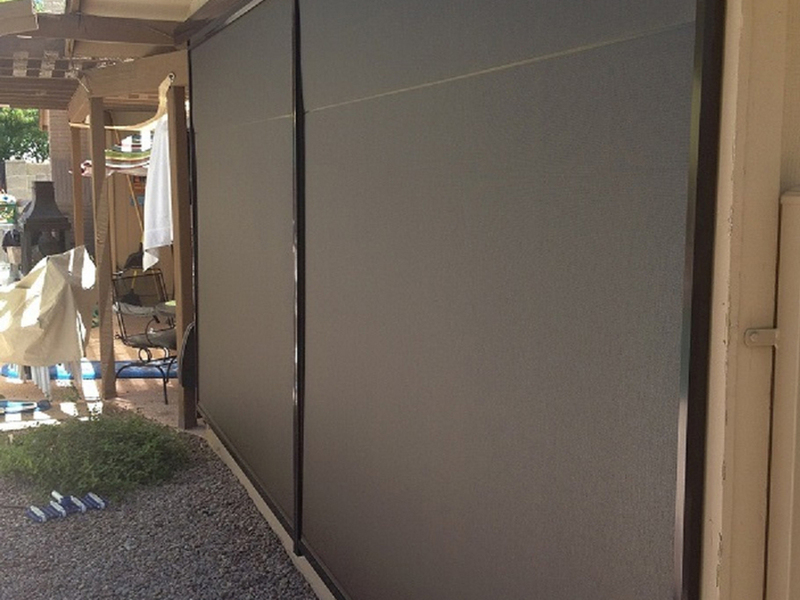 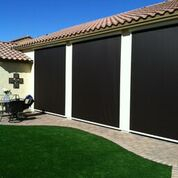 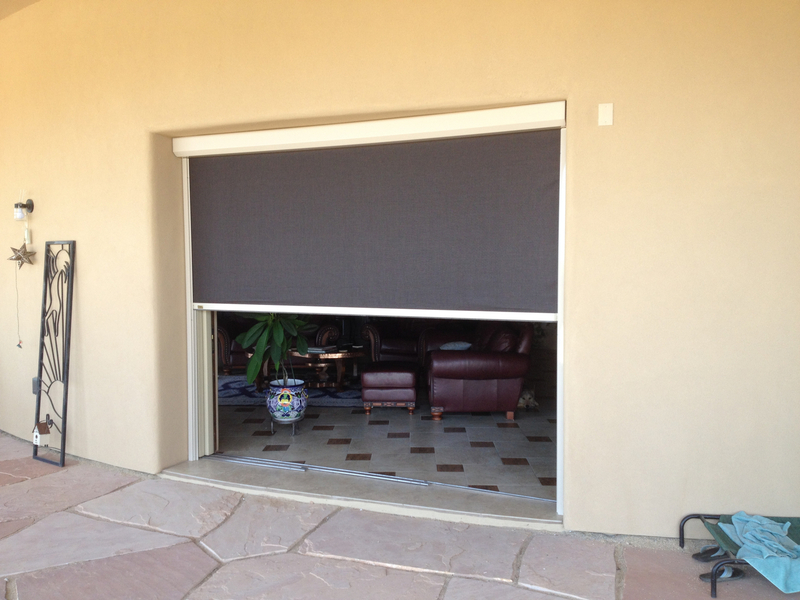 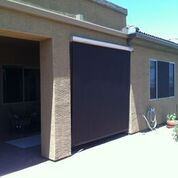 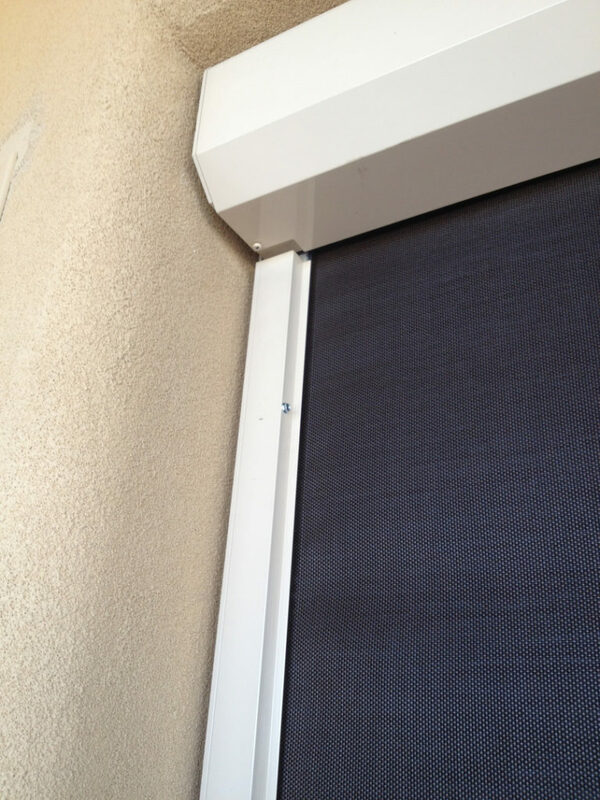 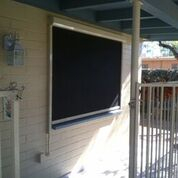 With this system the screen is locked into the tracks thus eliminating the gap between the tracks and the fabric along with the hem bar coming down to the bottom with a brush to close-off the door or patio area. 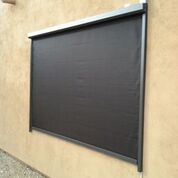 This gives you protection against insects and other pests. 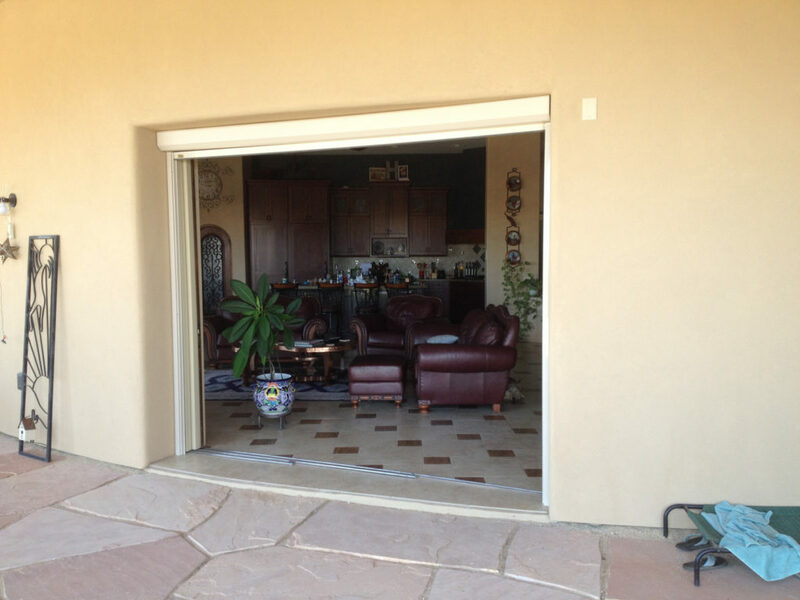 ​On your patio, they will create an entire room for you and your pets. 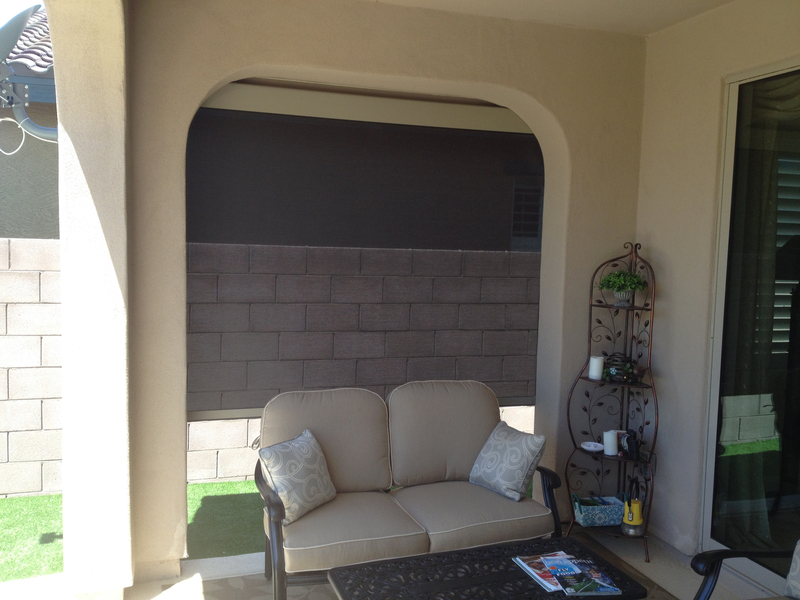 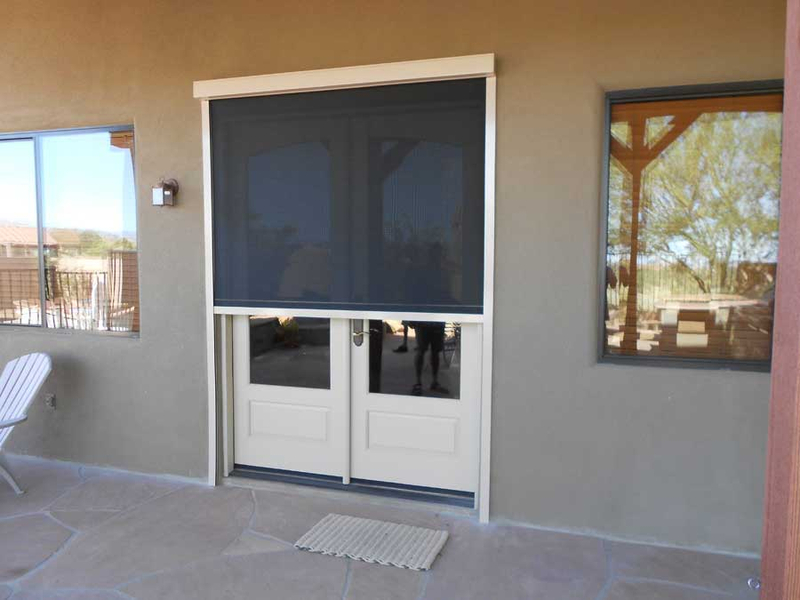 On your patio, windows and doors they give you protection from the sun's heat and glare for a longer period of time because they can stay down much longer than regular retractable screens. 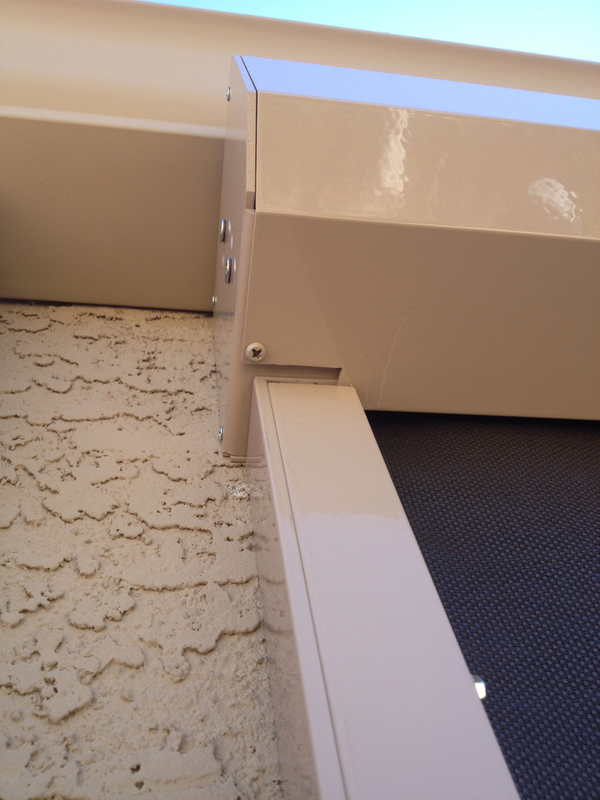 Because they are locked into the tracks they can withstand much more wind than a regular retractable screen which must retract when the wind exceeds 18mph on your patio and 22 mph on your windows or doors. 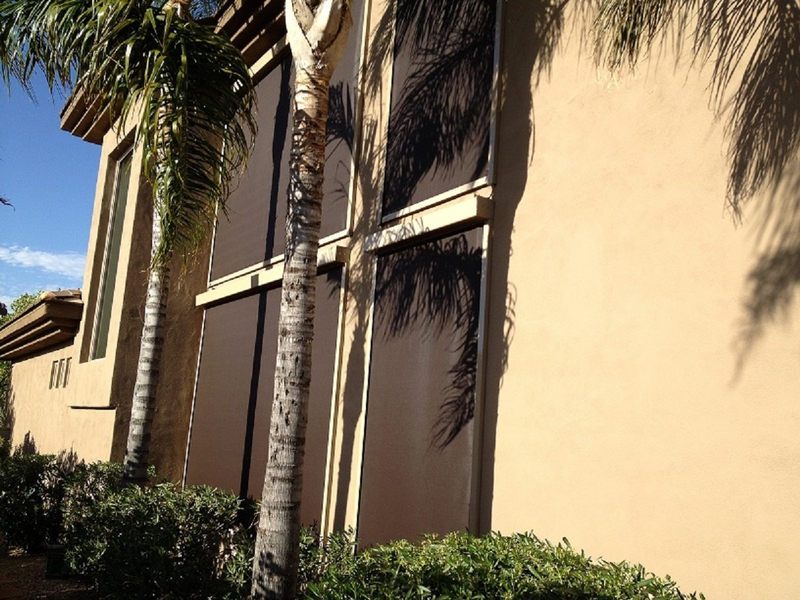 There are different kinds of winds – GUSTING WINDS, SUSTAINED WINDS, MICROBURSTS, ETC. 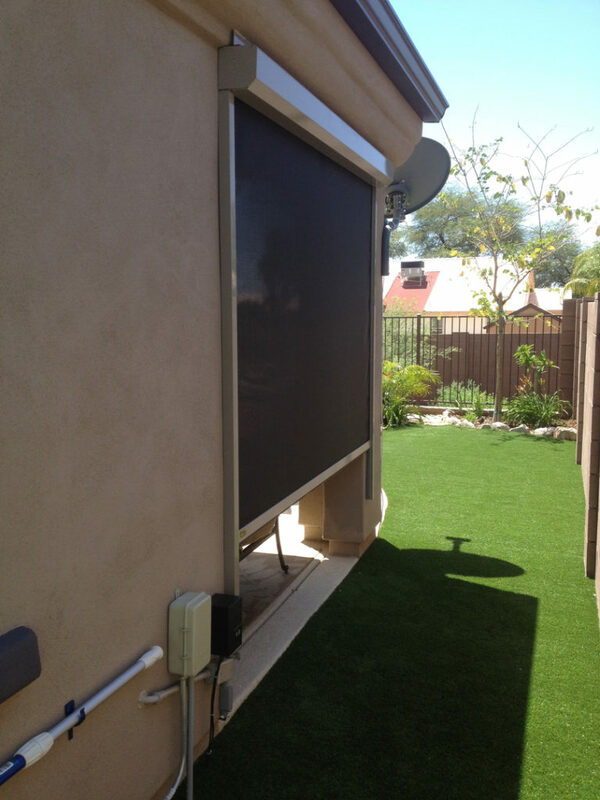 Human intervention and common sense will tell you whether you want to be outside or not and should tell you whether to raise the screens or leave them down. 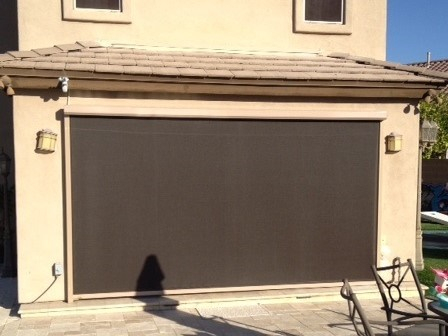 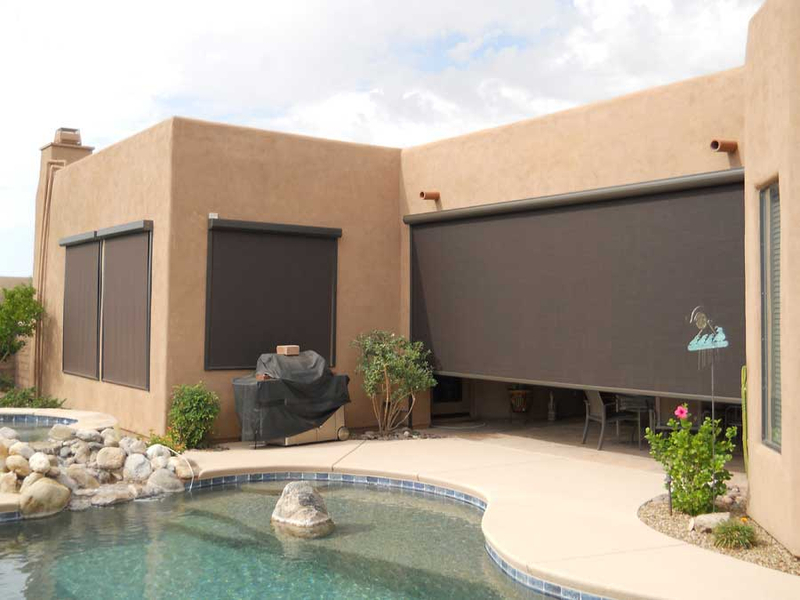 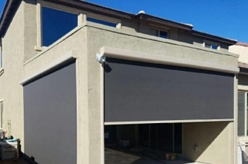 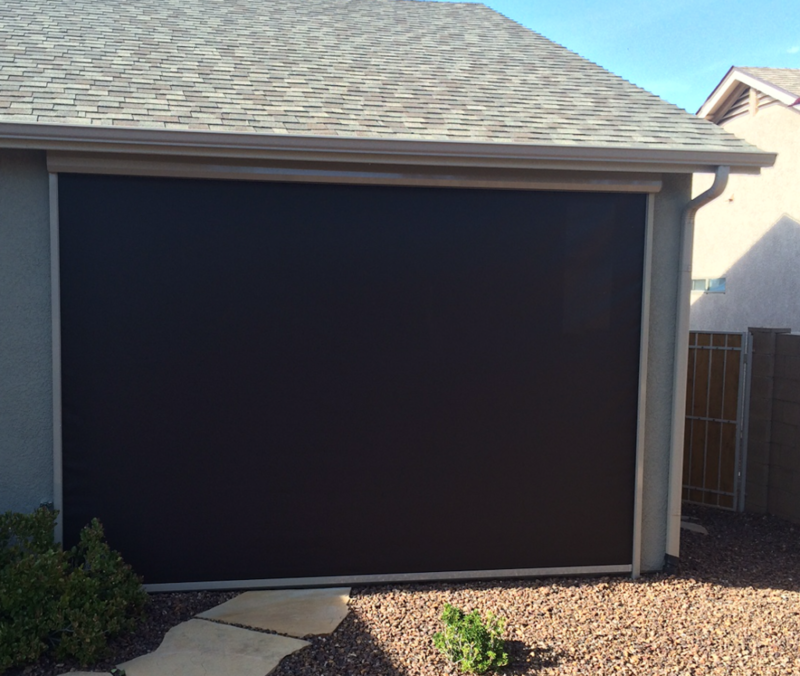 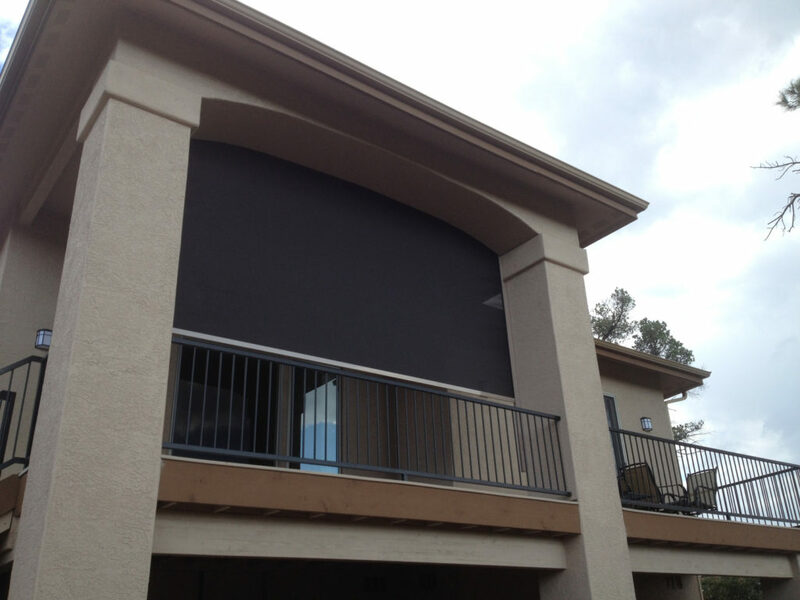 From Heavy Duty Bug Screen to 98% Sun Screen to Acrylic Fabric with or without Marine Grade Clear Vinyl windows to complete Blackout fabric this can be your answer to multiple problems. 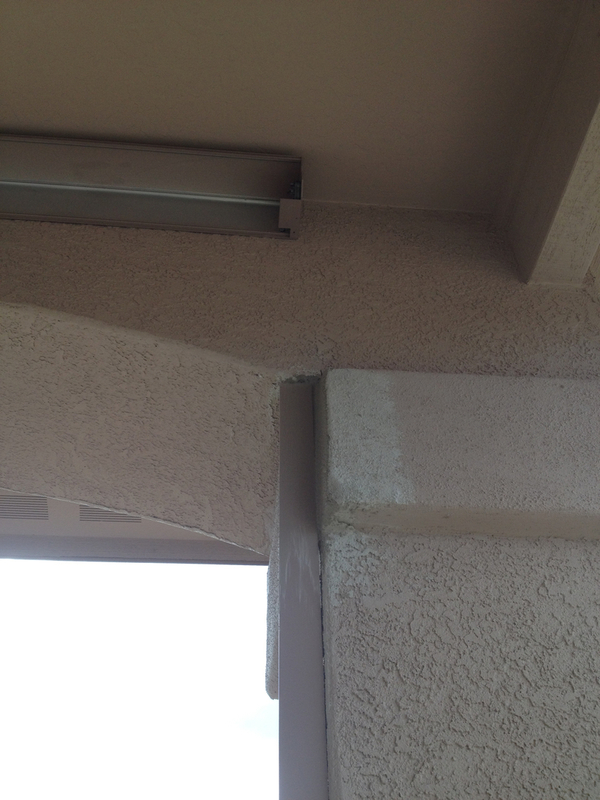 Custom Stucco/Faux Rock cutting for tracks. 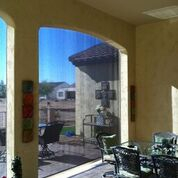 Protects your skin, furniture, carpet, wood floors, paintings & walls. 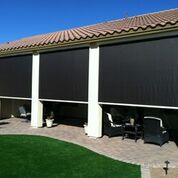 Reduces cooling costs by stopping a light ray from passing through the glass and converting into a heat ray making you many degrees cooler behind the glass with the screen down. 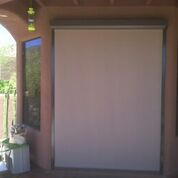 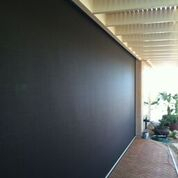 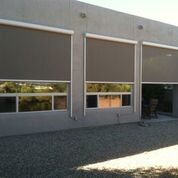 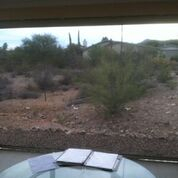 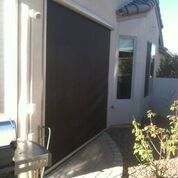 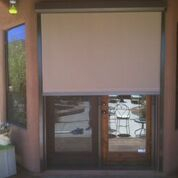 It stops reflective heat gain also so your a/c only has to cool the air and not your furnishings and floors and walls. 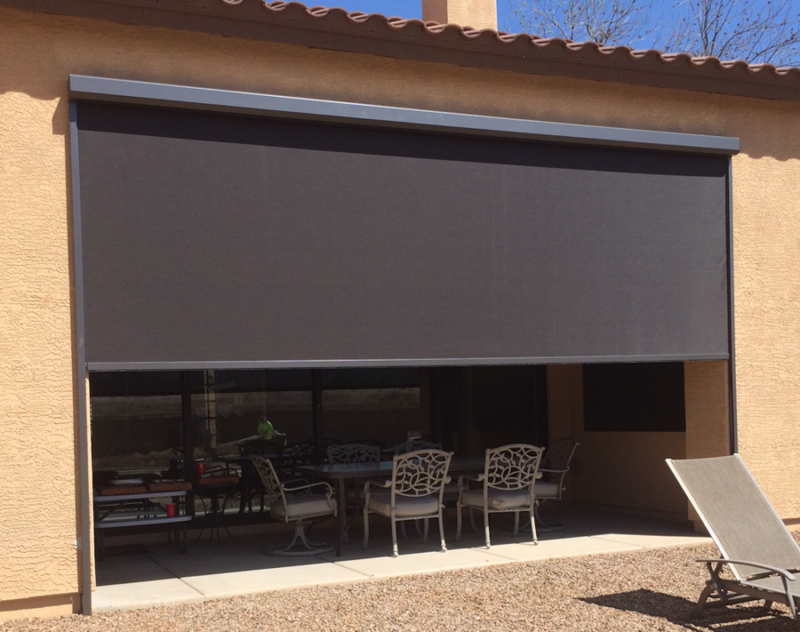 Available in widths up to 20' and heights up to 16’ for sizes 14' wide and less, for garage door openings, patio openings and windows and doors on your home. 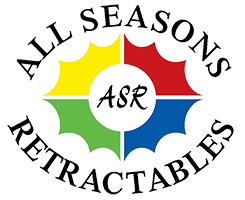 Multiple choice of Powder-Coated Standard Frame Colors -or- Custom Powder Coating available at an additional cost. 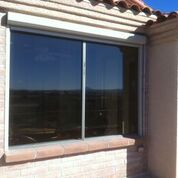 These units can be built-in during construction. 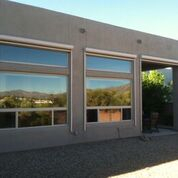 Contact us to meet with you and your architect, builder or designer.